A lot of people I know are hooked to the game Draw Something where you can draw on your screen based on the word that is given to you and let your friends guess what is it that you’ve drawn. Guessing the drawing correctly will earn coins to both drawer and guesser. Each player takes a turn in drawing and guessing which makes it fair but there are quite a number of players that likes to guess but doesn’t put much effort when it comes to their turn to draw. 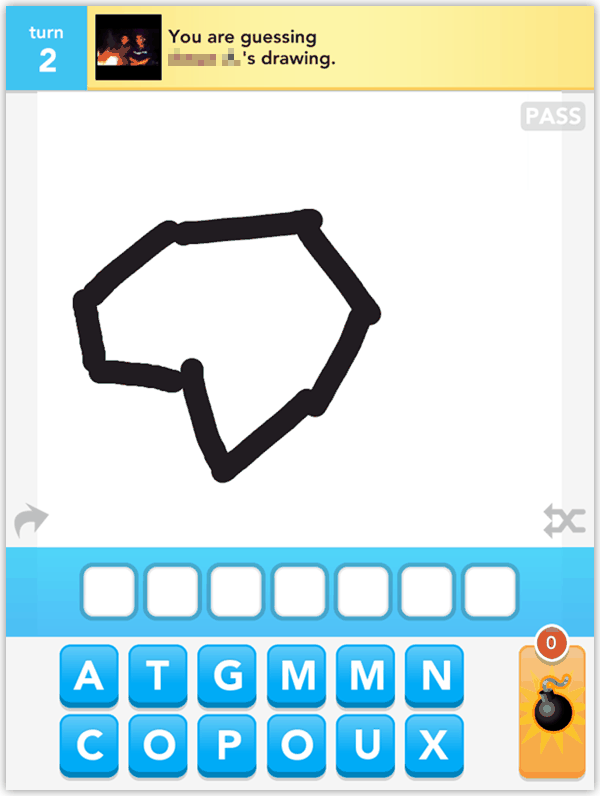 They can draw really crappy drawings that is impossible to guess, or they simply write the answer on screen. You can either swipe them off to delete them from your game or use a cheating tool such as a word generator from Solver Scrabble to generate possible answers from the letters that are given to you. All you need to do is key in the letters into the box in Solver Scrabble’s website and click the Get Words button. Words are instantly generated from the letters given by you and displayed at the same page after an automatic refresh. The words are categorized into numbers of letters which is very helpful for Draw Something game. Here is an example of a pretty bad drawing which I can’t tell what it is. I entered all 12 letters into Solver Scrabble and received 7 words which are possible answers for the drawing. 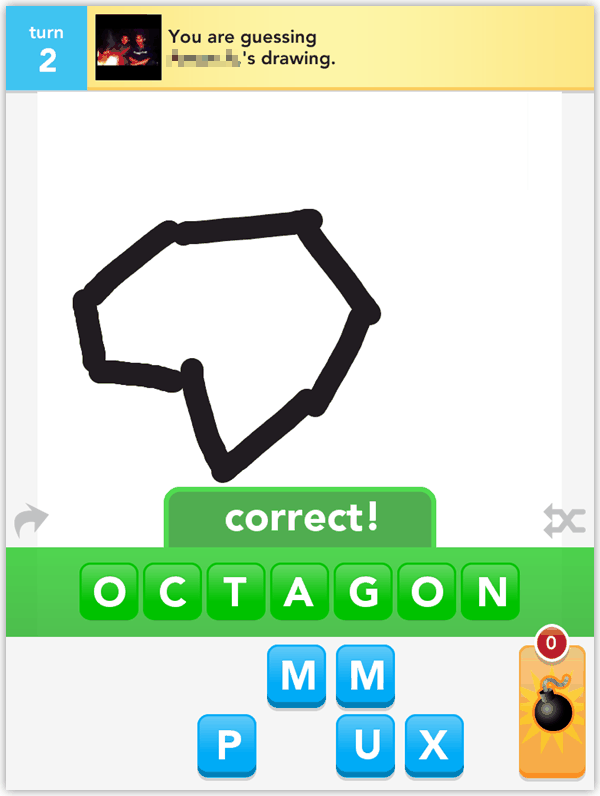 With a bit of common sense by referring back to the drawing, I am guessing that the answer could be “octagon”. Correct! An octagon is a shape with 8 angles and eight sides. I’ve seen some Draw Something players even managed to get up to 90 over turns and to be honest I don’t think you can even get that far with a scrabble word finder, builder or generator because it cannot generate words from names of popular artists such as Bieber, cartoon characters such as TinTin or even country like Finland. Nevertheless, at least it can surely help you guess some words from really bad drawings sometimes. I have tested a few other online websites that offers the generation of words from letters and I can say that Solver Scrabble always offer more words when compared with its competitors. If most of the time you are not familiar with the words probably due to English is not your first language, another tip to help you draw better is to search the word that is given to you in Google Images. its a great guessing game..its good for the kids..its a great help for them so they can easily recognize the shapes..